Double Fine recently have been churning out hit after hit with titles on the Xbox Live Arcade, but at E3 Tim Schafer took to the stage and revealed that his studio would be bringing a new title exclusively for the Xbox 360 and Kinect, and that title would turn out to be Sesame Street: Once Upon a Monster. Now that the game has finally released just in time for the holiday season, its our turn to take a look into the game and see if all the promises that were made, did actually come true. Does Sesame Street help teach children little important things about life, does the game actually work all that well with Kinect. To find out you're going to need to read our full length and in depth review that will cover everything you need to know about the title. Double Fine set out to make a game which was aimed primarily at children, children who could easily turn on the Xbox 360 stand in front of Kinect and easily be able to play the game without much assistance from their parents. Whilst that sentence may seem like the game is made just for children in a family environment, the overall effect that the game tries to give off is completely the opposite. 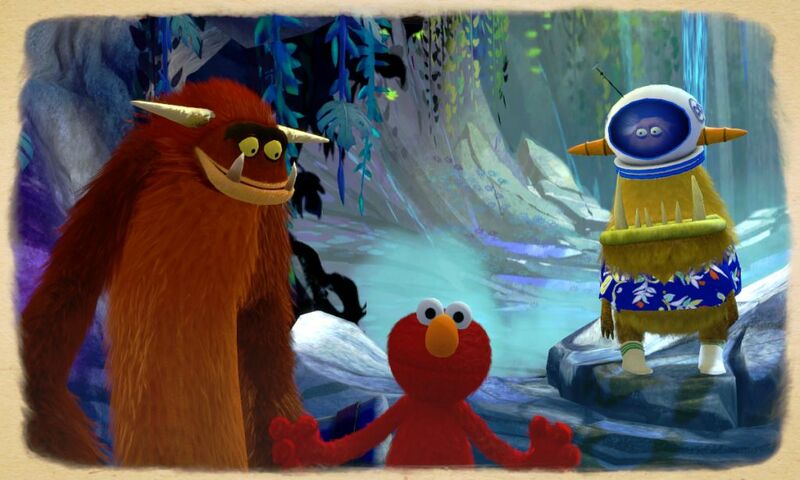 In simple terms that the game play that Double Fine have managed to refine and use for Sesame Street may be easy to use for children and even give a fun and responsive adventure with the characters of Sesame Street, but it�s also a decent all around game for adults to get involved in as well. The mini games that the game offers with the characters on offer will easily take any adult a trip down memory lane. When you first boot up the game you will be met with a cut scene which introduces you to Elmo and Cookie Monster, they will talk about books and the values of reading and will eventually turn their attention to a book called Once upon a monster, from here you will be taken to a simple menu structure where you can swipe left and right through the pages of the book to start a story or chapter within the book itself. Apparently, this is the greatest party that never was? To actually begin playing a chapter or story though you will need to set your arms in a motion that will make you look like your trying to pull open tabs from within the book to activate the games, I personally found a problem whilst playing the game early on, and that is sometimes your not properly instructed on how to pull the tabs on the end of the book. The game will initially tell you to just pull the tabs, when in reality you will need to set your arms in the proper position then push forward and pull apart. Whilst that may sound easy enough, this could potentially be a big problem for many children who will simply just try to pull the tables apart on the book and will no doubt cause some confusion with adults until you get used to what the game is actually trying to get you to do. Once you manage to figure out how to start an activity though you will soon learn that the game actually features many different activities or mini games and each one is pretty unique and uses the tracking of the Kinect sensor really well. Whilst there may seem to be quite a lot of mini games the game offers, with a game of this calibre it is obviously inevitable that some of the mini games will return at one point or another with some returning two or three times during the course of the games length, some activities are also given a slight make over or have a slight twist added to them to obviously stop the fact children may notice that games are being reused. The games that are on offer though really are enough to keep anybody busy for a while, and what is packed into the game really helps set the stories into motion, what I mean by this is that. 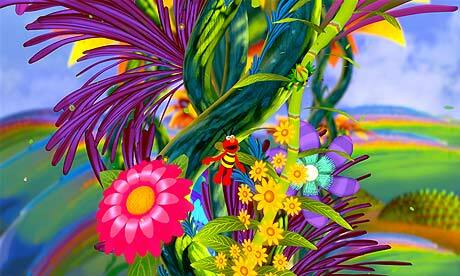 In one of the stories you will find yourself helping a monster repair her garden. You will face a series of games that will see you fix the garden for her in many different ways, and not only are you essentially playing mini games, the mini games are their to help children learn basic principles such as how to water a garden or the value of friendship. Unfortunately with only six main stories in the game and each with around five to six chapters, the game is rather short, whilst this may not be a bad thing, couple this with how linear some of the mini games are, this can end up for a crippling experience. I did mention that the use of the Kinect sensor is used really well in the game, but I still get the feeling that more games could have been added to really show what the piece of hardware could do. Double Fine seem to have rested on their laurels and just gone with the crowd and added in jumping or moving around activities. Again the game is short and pretty linear and this will only prove itself to you when you find yourself doing dances at the end of every chapter or even a sequence where you find yourself running or marching down a linear path, I can see why the game is so linear and short, it helps stop children getting bored and losing interest, but it really does bring me back to more could have been added to help pad the game out with new and interesting things to do. The game itself will roughly take you around three hours to complete, but to help make the overall experience a little longer there are stars to obtain from each chapter, with five being awarded for every chapter in the game, whilst some of the stars will be easy to obtain, others will take more persistence and luck to get, this brings me onto one of the main problems I experienced whilst playing the game. When you take part in some of the activities and you are instructed by Elmo or Cookie Monster to do some sort of feature a few seconds before you need to do it, for example crouch. Jump or lean. The Kinect sensor will sometimes just not respond to what you are trying to get it to do, this will mean you will find yourself crashing into things quite frequently. I found that the game has some big issues with it not being able to track when you perform a jump unless you manage to make a big jump where it can tell the difference. One of the game play elements is that you must lean either to the right or the left to move your character/monster in that direction, I personally feel it would have been easier if the player could of just walked left or right rather then lean, the game doesn�t actually give you much information either when it comes to how to move your character, it will pretty much just tell you to go right or left. What would have been even better then that though is if Double Fine had actually offered the player a choice of how they would like to move around the screen, as not everybody will want to have to lean and some adults/children may not be flexible enough to lean so far over to the one side in order for the Kinect to track it properly. Another feature that bugged me, even though it wasn�t really that much of a deal was that it wasn�t clear how to skip cut scenes, and when you did work it out the game would just tell you, you wasn�t allowed to skip it until you had at least watched it once. To skip a cut scenes though from what I gathered you need to put your one hand out in front of you until the game realises, then you need to swipe to the right. This could have been implemented a lot better then it was as it just simply isn�t clear enough. Overall Double Fine have managed to create a game that is aimed at both children and adults and figure out game play mechanics that can be easily picked up and adapted to both scenarios, sure there are a few problems with how the game plays and responds but its nothing too game breaking. With DLC being a big part of games being expanded it would be interesting to see if Double Fine have got any new stories or activities lined up to help freshen up the game as once it is complete as you won�t find yourself wanting to come back once the game is over for the first time. The graphics in Sesame Street: Once Upon a Monster try to stay true to the Sesame Street universe whilst also injecting some sort of fantasy into the overall theme of the game, what I mean by fantasy though is that everything from the game world to the monsters that you will be helping out all feature an element of fantasy or at least children�s imaginations. The colours used in the game are easily summed up as bright and colourful, everything is detailed quite well and no matter what activity you find yourself playing through there will always be something a little different to look at. I guess you could say that the games world is almost child like and drawing back to the first paragraph in this section, its almost as if Double Fine sat a bunch of children down and asked them what do they think of when they think of fantasy, and thus came the idea of bringing a game about Sesame Street entering another reality where they would help out monsters and teach then values. Elmo and Cookie Monster are designed to perfection, with these two being the lead characters in the game it was nice to see that a lot of time had been devoted to modelling them correctly, even the googly eyes that Cookie Monster has have been transitioned well into the game. These are not the only characters from the world of Sesame Street to be included within the game though, both Oscar and Grover make cameo appearances and are used in a select bunch of chapters within the game itself, Grover looked almost identical to Elmo and Cookie Monster in terms of detail, but Oscar on the other hand looked like he was more of a last minute inclusion which is a shame. The monsters themselves each fit into the Sesame Street theme very well, none of the monsters look identical to each other and they all features the same fur branding that the rest of the Sesame Street cast use. Seeing how original Double Fine could be with being allowed to create a new set of characters for the Sesame Street brand, I think it would be safe they managed to do a job well done and the monsters they created will easily please children and fans of Sesame Street alike. Whilst the graphics do look good overall there is still room in the game for improvement, be it with the scenery especially in the linear walk ways or just the how everything seems to be portrayed as 3D character models on a 2.5D background some graphical changes could have been easily tweaked to make the game look even better then it is. I have to mention though how well Double Fine managed to make the fur effects on both the Sesame Street characters and both the monsters, many times I would watch as Cookie Monster would be talking or moving and you would see the fur around parts of his body moving freely and in time to the rest of his body actions, I thought this was a really great touch and helped the overall tone of the game. Elmo had obviously chosen the wrong costume! Sound is a major factor in this game, seeing as how the whole game is based on multiple stories and with both Elmo and Cookie Monster on narrative duties, it is easy to expect a lot of voice over work in the game. From the time the game starts up to the time when you turn it off their will rarely be a moment where you won�t here Cookie Monster or Elmo talking to you or talking about the story of the game. Both voice actors for the characters put in amazing performances and they both end up in comical scenarios, for example Cookie Monster wanting to eat Monster Cookies or anything that just looks tasty, to Elmo finding the slightest thing funny or silly. For children they will be in awe as they listen to the two main characters interact with them, for adults though they may find it annoying at times as Elmo�s voice especially seems to be too high pitched for a game like this. Obviously for the times when the characters aren�t talking to you, you will be listening to the background music that the game has to offer, and keeping in tone with the rest of the theme of the game, the sound is rather of the fantasy genre then anything else. Expect to hear lots of twinkling�s and any other noises that you may associate with the fantasy genre. Most of the mini games will come with their own unique mini sound clip or tune though so its not just all of the one variety, if you take the dance activities for instance you will often have to dance away to more upbeat songs that will help give your ears a little bit of a break from the rest of the tone of the game. The sound department have managed to create some noteworthy things here within the sound of the game, everything from the amazing voice work to the music within the game, it is really apparent that a lot of time was taken to research into what would fit the game well and what wouldn�t. 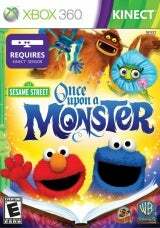 Sesame Street: Once Upon a Monster really isn't that difficult, this obviously though is because of the age range that the game is aimed for. Most of the tasks in the game will require minimal effort and a lot of the mini games are self explanatory. Unfortunately though when you add in the fact that some of the controls can feel a little wonky or that the Kinect isn�t tracking your movements all that well at times, it can make getting five stars on all of the mini games more of a challenge. To score five stars on each of the tasks though can be done in a number of different ways, some of the mini games will come with little sections or checkpoints if you will, each of these checkpoints will award a star and by the end you will have gotten all five stars with no effort at all. Other games may require you to do a little bit of hidden collecting in levels, this may be in the form of hitting bells on trees, or making flowers blossom. There is even a section a little bit later into the game where you have to hit all of the wind gusts to make a sledge go faster, by hitting all of the wind gusts you will obtain your five stars for the level. The last way the player can earn stars is by playing through the mini games as fast and accurate as they can do, it appears that some of the mini games have hidden timers where if you don�t manage to complete a checkpoint In a certain time you will fail to earn a star for that section. Again seeing as the game is based at teaching your children values of early life, the game really isn�t that difficult, most average Kinect users will not have a problem working their way through the game, whilst some small children may need to take there time and understand what the game is requiring them to do. Very much like the difficulty of the game, the achievements in the game are very straight forward and easy to obtain. Most of the achievements will be awarded to the player for working their way through the story, whilst another sum of the achievements will be rewarded for completing certain things during some of the mini games that you encounter. An example of the in game tasks relating to achievements could be running through the forest in the second chapter, you will need to get from the start of the level to the end without hitting a single obstacle, if the player can pull this off they will earn themselves a nice thirty five gamerscore. Another example would be on the sledging level, not only do you need to go through pretty much most of the wind gusts to not only get five of the stars, but if you manage to hit every single wind gust you will net yourself another achievement worth another thirty five gamerscore. To be fair the list itself is pretty original in terms of how the game awards the player during the game, to be able to achieve all of the points the game has to offer though you will need to play through the game a minimum of three times, as there are various achievements for completing a task a set number of times. Overall with little effort and some patience with numerous run through�s of the game, the full forty one achievements will be attainable with ease. Overall the package here that Double Fine have managed to produce is in keeping with the rest of their titles that they have released recently, it remains unique, fun and easy to pick up and play. But the game really is short and clocking in at just a little over three hours some parents may want to hold off paying full retail price for the game and wait for a price drop. But whilst you may want to do that, it is worth picking up just for how well the game will secretly teach your children without them ever realising it, and most children will be amazed by how there favourite characters will be talking back to them and playing with them. The game may be simple in every respect possible, but it was never intended to be made to be hard to understand, and whilst the game remains simple its still fun and effective either way. Whilst the game may not be for most adults, it is worth still picking it up just for that trip back down memory lane. Whether you pick this game up for face value or wait for a price drop, it is well worth adding this game your Kinect back catalogue at some point, with lots of titles releasing for Kinect recently its nice to see something different and slower paced that is an all around enjoyable experience.